By its lofty standards, 2016 was a relatively quiet year for the SoftBank juggernaut. The telecom and Internet conglomerate, which put copious amounts of money in Snapdeal, OYO Rooms and Grofers in the previous year, stayed away from making any fresh investments in India. This uncharacteristic quiet at SoftBank in terms of fresh investments can be attributed, in part, to the mid-year departure of former president and chief operating officer Nikesh Arora. Successive markdowns of ¥58.1-billion ($555 million) and ¥30.2 billion ($295 million then) at Ola and Snapdeal, largely due to the yen's appreciation, didn't help either. However, that didn't prevent SoftBank from making its intent clear—it announced that it will invest $10 billion in India over the next 10 years. SoftBank's investments in India might be a handful, but the bouquet of investee firms is big enough to make its peers very jealous. In fact, of its seven portfolio firms, four—Hike, Ola, Snapdeal and InMobi—are unicorns, meaning each of them is valued at more than $1 billion. Overall, SoftBank has invested nearly $2.8 billion in India so far, according to VCCEdge, the data research arm of News Corp VCCircle. Let's take a look at key developments at the telecom and internet behemoth in 2016. Earlier this month, SoftBank chairman and managing director Masayoshi Son, who was on a visit to India, re-emphasised that he continues to be bullish on India and even believes he will surpass his own commitment of investing $10 billion in India in 10 years. "I am the man who keeps his word. I am going to surpass my commitment. I have a $100-billion fund," Son said, during a question and answer session at the Hindustan Times Leadership Summit in New Delhi on December 2. In October, Softbank had launched Softbank Vision Fund in strategic partnership with a sovereign wealth fund, Public Investment Fund of Saudi Arabia. While Softbank would pool in $25 billion, the sovereign wealth fund will chip in with $45 billion. The rest was to be raised from other investors. The fund intends to make investments in the technology sector globally and aims to be one of the world's largest of its kind. SoftBank named India-born Rajeev Misra as head of this ambitious $100-billion fund, which could be good news for SoftBank's Indian portfolio companies Snapdeal, Ola, Grofers, Housing, Hike and InMobi. Some of these firms have been facing a fund crunch, with SoftBank tightening its purse strings of late. The 54-year-old Misra, currently head of strategic finance at SoftBank, is a former debt trading veteran. He has, in the past, worked with Germany's Deutsche Bank and Swiss financial company UBS AG and had joined Softbank almost exactly two years ago, after leaving global investment management firm Fortress Investments Group LLC, where he had worked for less than a year. Misra's elevation to head the new London-based SoftBank Vision Fund is interesting, comes as it just under four months of former president and COO Nikesh Arora quitting the Japanese company. 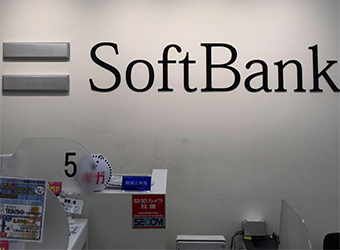 Arora quit after a group of anonymous shareholders accused him of leading SoftBank into making poor investment decisions as well as of conflict of interest. Arora quit soon after even as an internal probe cleared him of any wrongdoing. Both SoftBank and Arora said the decision stemmed from Son's desire to stay at the helm of the company he founded for the next few years. "Son's intention was to keep leading the group in various aspects for the time being, while Arora wished to start taking over the lead in a few years' time. The difference of expected timelines between the two leads to Arora's resignationâ€¦," SoftBank said. Last month, SoftBank once again marked down the value of its investments in its two flagship investments in India--cab-hailing app Ola and e-commerce marketplace Snapdeal. The firm reported a loss of ¥58.1 billion ($555 million) from its financial instruments for the six-month period ended September 30, largely due to a decline in the fair value of preferred stock investment, in ANI Technologies Pvt. Ltd (Ola) and Jasper Infotech Pvt. Ltd (Snapdeal). Of this, nearly half was booked as a loss due to the appreciation of the Japanese yen. In the first quarter ended 30 June, SoftBank had booked a loss of ¥30.2 billion ($295 million then) due to the decline in fair value of Snapdeal and Ola, mainly due to appreciation of the Japanese currency against the rupee. This means SoftBank has doubled the book losses on value of its investment last quarter. It did not give a breakdown on how much fair value of Snapdeal and Ola it has pared down separately. Nor did it disclose the decline in value of other investments. While Son remains bulish on India, for FY15 its portfolio companies in India had cumulative losses of nearly $450 million, according to filings with the Registrar of Companies. All firms, barring OYO Rooms, are yet to see profitability at any level. In May, OYO Rooms said it had attained profitability at the aggregate level.